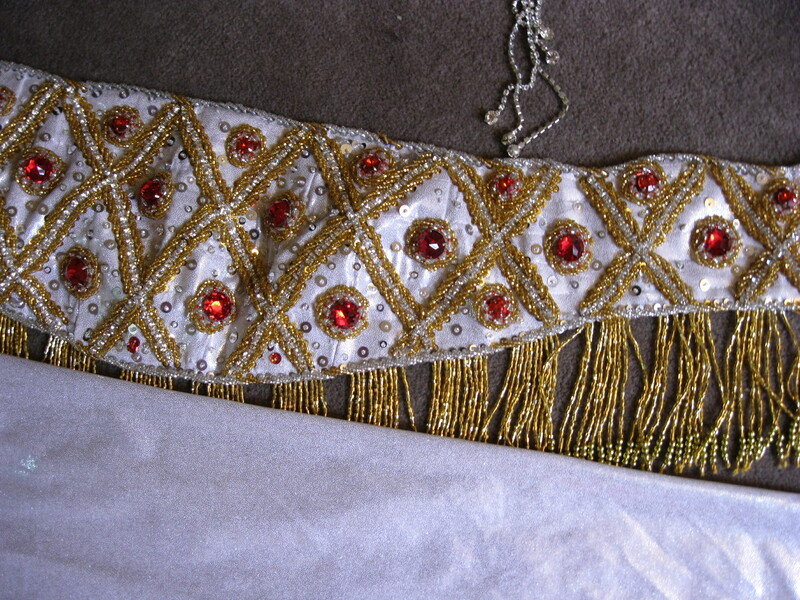 Sparkling white noussa with gold and red accents. This is a bra, belt, skirt set with fully decorated gauntlets and a red chiffon veil. The skirt is heavily beaded down the side. Only one red stone is missing from the belt and it is not noticeable. I often wear the bra and belt with two chiffon skirts to change the look as in the above poster. 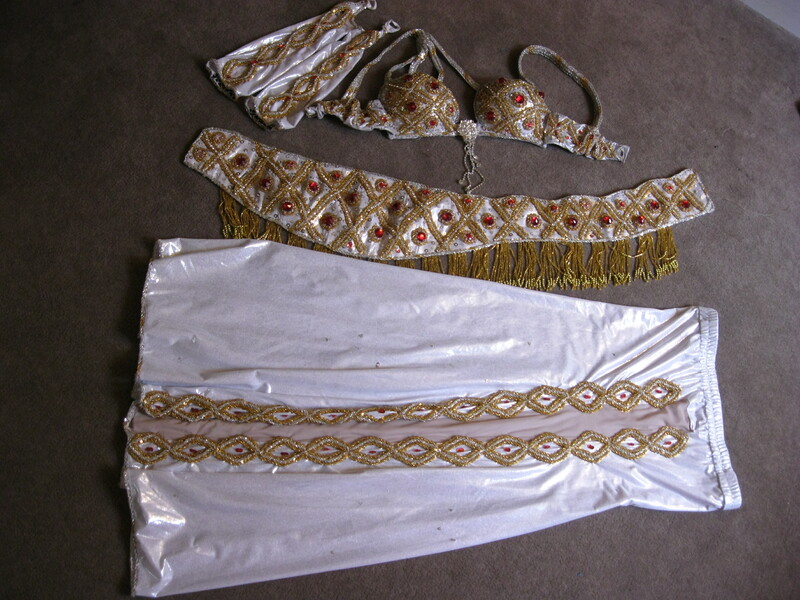 This set is in good condition and is amazingly beaded. Bra cups are 5″vertical x 6.5″diagonal x 6.5″ horizontal on the inside and the underbust is 34″ fully stretched. Belt is up to 37.5″ The skirt is 28″ unstretched at the top and up to 38″ fully stretched. The skirt is 38″long. SOLD! Bra cups are 5.5″vertical x 6.5″diagonal x 6.5″ horizontal on the inside and the underbust is 37″ . 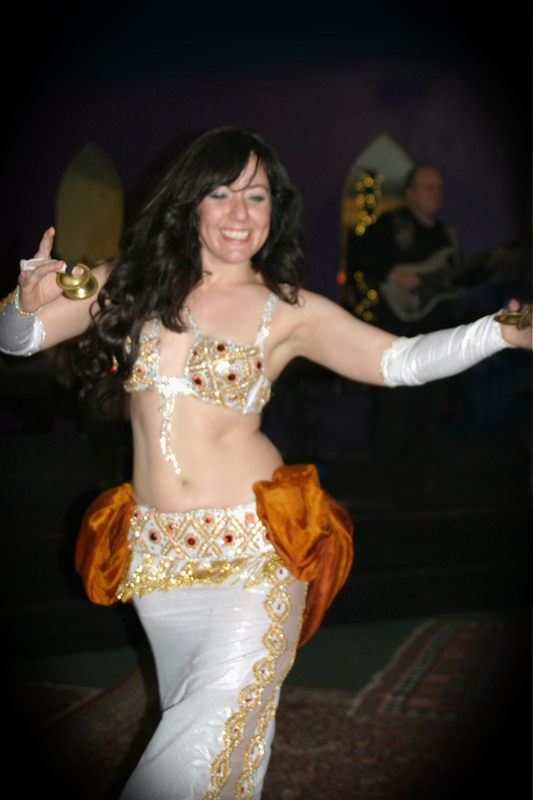 The skirt is 28″ unstretched at the top and up to 36″ fully stretched. The skirt is 38″long but it is hemmed and you could gain another inch. It also comes with armbands. I am asking $300 plus shipping. OOOOOh! that pic in the white costume is one of my favorites of Janim!!! It’s imeprtvaie that more people make this exact point. 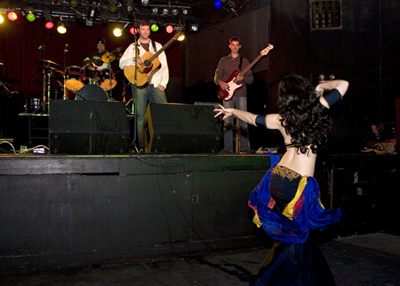 Previous PostPrevious March 5th with Lisa Zahiya in the ‘Burgh approaches!